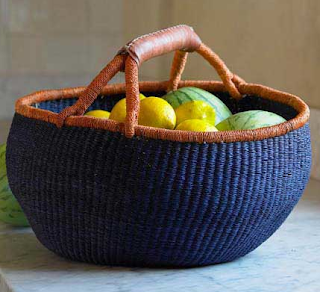 VivaTerra brings us this basket made from renewable, strong African grasses. 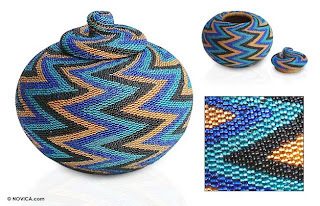 And Novica brings us this beaded rattan basket made by Wayan Sukerni in Indonesia. Both VivaTerra and Novica support local artisans around the world.